With Yelloh! Village, lie back and enjoy your holiday with total peace of mind. For a truly exceptional stay, you'll find a wide range of facilities available for the whole family. Find out about them all straight away! Our reception and our concierge service join forces to make your holidays even better, nicer and more practical. For tourist information, special prices with our partners and equipment hire, we are at your service. Our grocer's and fresh bread outlet will make your holidays even more delicious. Help yourself! After a day of having fun with the family in the swimming pool, it's time to eat! Our catering area will meet everyone's needs, with regional dishes, takeaway food, a bar and more. We'll do all we can to make your stay is a truly unforgettable one. 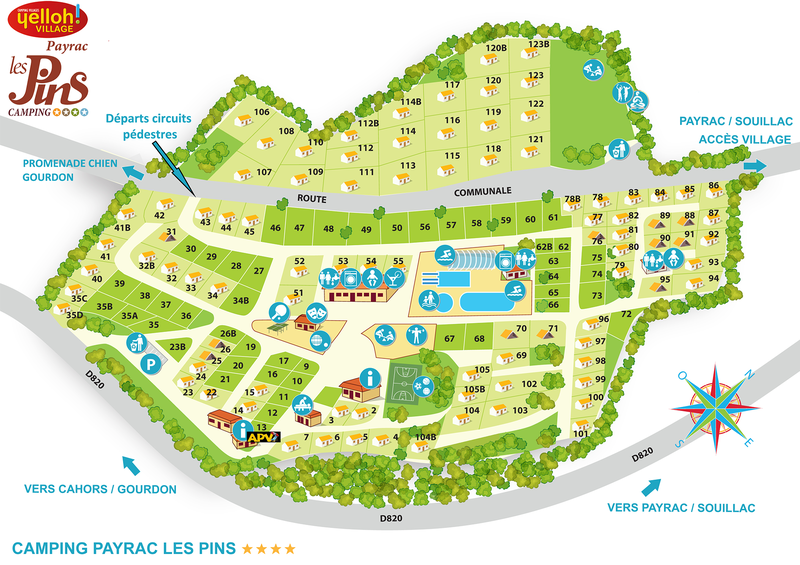 At the camping Payrac Les Pins, place your trust in us and finally enjoy a real holiday!